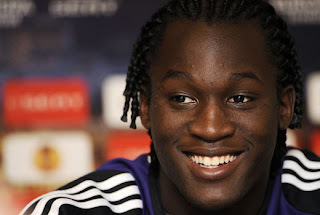 Teenage Anderlecht sensation Romelu Lukaku has revealed he will be at the club for pre-season training, despite reported interest from Chelsea. The 18-year-old has already broken into the Belgium national side and is attracting interest from across Europe. However, Lukaku insists suggestions a deal is imminent are wide of the mark, and says he is only focused on his school exams. In a statement on his Facebook and Twitter pages, the striker said: "I read a lot in the paper about me these days. Some journalists try to sell information they don't always know about. Please know that my current and only focus is ... passing my exams. After that I'll have some holiday and will start the pre-season with RSCA [Anderlecht]."